The Eco-city of Silk isa social system based on blockchain technology to improve the ecology of international trade and cross-border consumption. Adhering to the principle of decentralization, openness and win-win, the Eco-city of Silk attracts participants of global trade to join the SilkChain ecosphere through the incentive design, circulation design and various incentive applications. 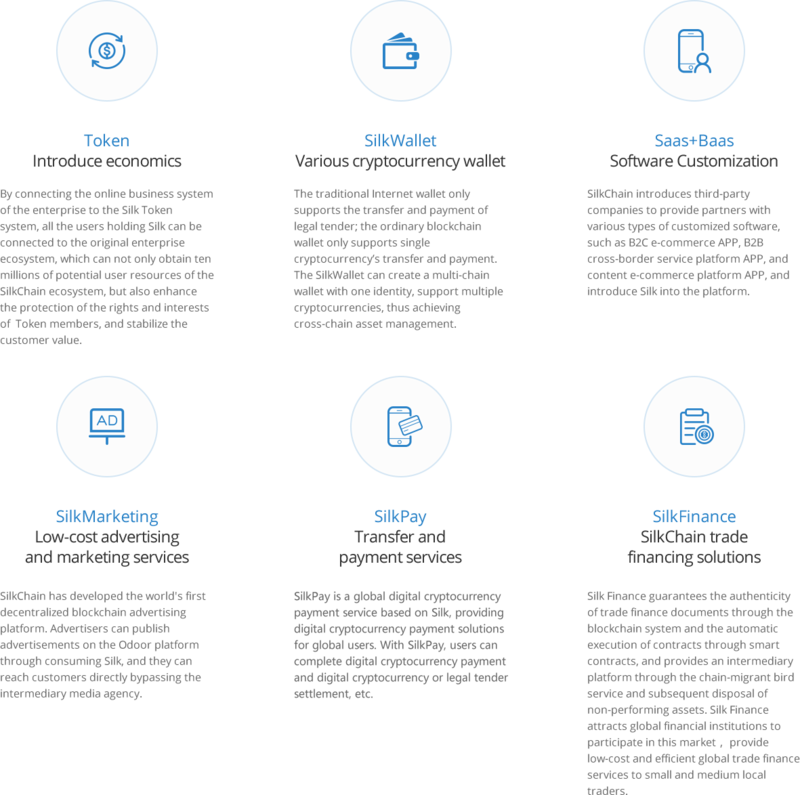 On this basis, it supports various kinds of financial applications such as information depositing certificate, payment and settlement, transparent supply chain, goods traceability ,and supply chain finance; At the same time, through continuous circulation of Silk in the Eco-city, trading data and behavioral data of all users are accumulated, which lays a solid data foundation for the unified credit system in the Eco-city and the establishment of the global blockchain free trade zone, so as toreshape the international trade ecology and promote cross-border consumption. SilkLife is a decentralized, mutually-trusted and encouraging cross-border life community that is protected through blockchain technology, bound by smart contracts and furnished with a TOKEN incentive mechanism and mutual evaluation mechanism. SilkLife focuses on application scenarios including Overseas travel, shopping, healthcare and study. Silk Branches across the world have connected hotels, retailers, schools, medical institutions, scenic spot operators to the SilkLife ecosystem, which recommends directly to global customers. Meanwhile, the blockchain technology-based autonomous commercial smart contract (SC application) can make the contract performance, payment and responsibility recognition process in traditional service trade become intelligent. In addition, SC application is absolutely decentralized and cannot be falsified, as it’s based on blockchain technology. Disputes in service trade can be arbitrated through decentralized social group forces, which in turn guarantees interests of contractual parties in a smart manner. 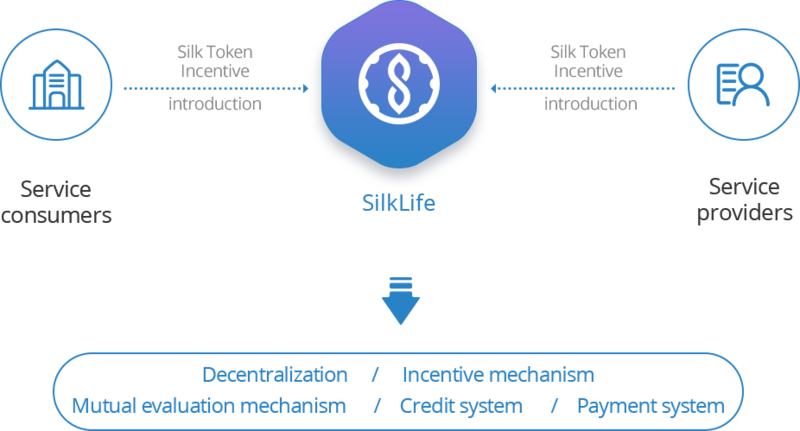 SilkAll, based on blockchain technology, is an operating system designed for Silk ecological applications , and it’s developed by SilkChain. As the official entrance of the Eco-city of Silk, SilkAll provides basic functions, such as registration of SilkChain accounts, wallet checking and automatic mining. 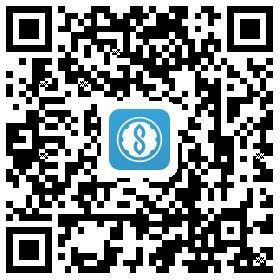 At the same time, it also carries various applications of SilkChain ecosystem, such as interactive shopping, social entertainment, trade service, etc. Tens thousands of cross-border trade participants (such as manufacturers, importers and exporters, E-commerce platform, trade centers, service providers such as banks, logistics , etc.) cross-border consumer participants (such as hotels, schools, medical institutions, the scenic spot, intermediary institutions), and tripartite developers, together constitute the social system of the Eco-city of Silk. Through SilkAll, all the members of the community will be hand in hand to build the international trade of ecological equality and reciprocity, and they could share the huge bonuses of ecological development. 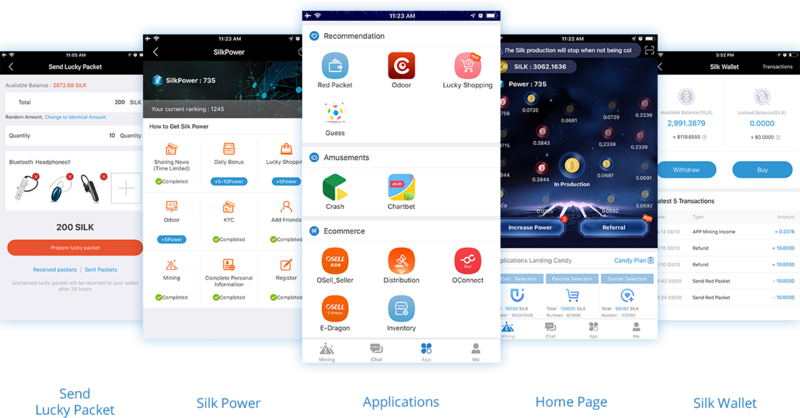 What kinds of APP are suitable for SilkAll? in the interest of your asset safetyplease uninstall the Beta APP, before you install the formal version of SilkAll.